This month’s Altmetric Ambassador of the Month honor goes to Milica Ševkušić and Zorica Janković, two librarians who work jointly to promote Open Access and altmetrics in their home institutions and throughout Serbia. Both have recently been strategizing ways to make it easier to track Serbian research online and, in their 9-to-5 jobs, are each their institution’s sole librarian, making their days busy and varied! 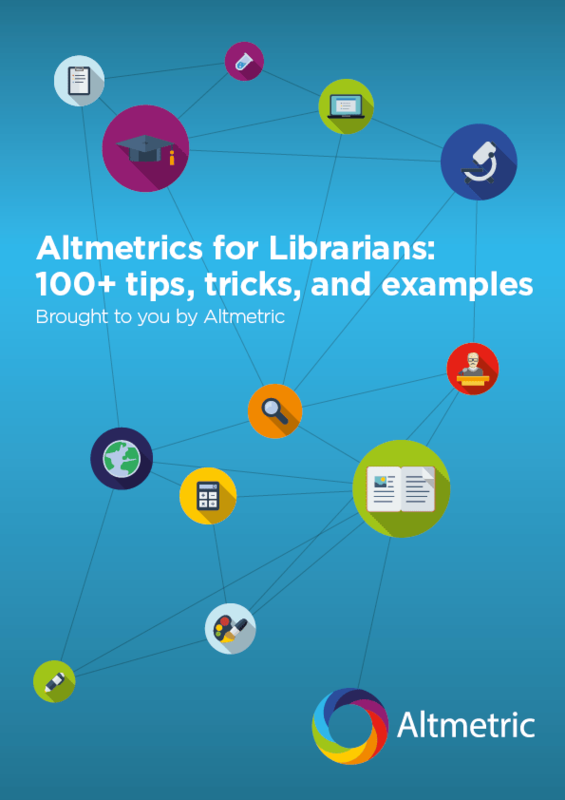 Read on to learn more about their outreach efforts and tips they have for librarians interested in promoting altmetrics. Tell me about your current work at your respective libraries. What does a typical day look like for each of you? 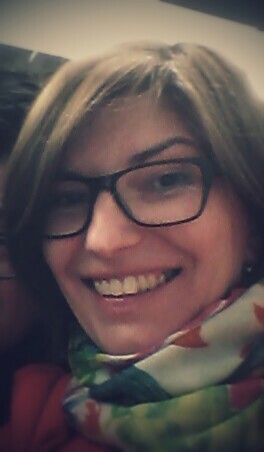 Zorica: I work in the library of Institute for Biological Research “Siniša Stanković” in Belgrade, where I came two years ago. The Institute had no librarian for 14 years before me. Still, they had over 30.000 items in the library and almost 300 researchers in the Institute. That means that there is a lot of things to do in the library, from traditional librarian tasks to new, modern ones. I had a strong support from colleagues from the Librarians’ Section of the Serbian Association of Institutes and my role model is Milica. My day is never the same. But I mostly sit in front of my computer writing emails, posts for website, following webinars, organizing workshops for researchers, cataloging, and loaning journals and books. This is normal situation when there is only one librarian in a library. Milica: I work at the library of the Institute of Technical Sciences of the Serbian Academy of Sciences and Arts (ITS SASA). This is a rather small institute, with about 35 researchers. The library had been either inactive or non-existent for more than 30 years before it was reestablished in 2007. Our book holdings are very poor and irrelevant for the Institute’s current research focuses, the library has a zero budget, but we have abundant electronic resources, provided through the national library consortium KoBSON. These resources have always been the starting point for my work. I heavily rely on search alerts, which I set up for my colleagues, researchers, so they get regularly informed when their papers are cited in Scopus or when new publications that may be of interest for their research appear online. I also seek to keep them informed about good and bad practices. I have created ORCID and ResearcherID profiles for them and I regularly update their publication lists on the Institute’s website. In 2013, we established an institutional repository and I maintain it. In brief, there are three main focuses in my work: keeping users informed of what may be relevant for them, instructing them how to use services that may help them in their work (e.g. citation managers), and helping them disseminate their research outputs through the Institute’s website and the institutional repository. My days at work are all different, there is no regular routine and I often end up doing something urgent, rather than something planned. This is similar to most research libraries in Serbia, as they rarely have more than one librarian, regardless of the institute’s size. Both Zorica and I are also very active in the Librarians’ Section of the Serbian Association of Institutes. You two tend to work as a team on altmetrics outreach initiatives. Can you tell me how your partnership came about? Zorica: This is not the only place where the two of us work together. Milica had come into research librarians’ world some years before me. Milica applied a modern thinking in her library and I used her work as a framework for my library, since we think in the similar way. What Milica did in her library is very innovative for our country. I applied these methods in my library, which is much bigger and thus more complex. In this way, we both try to show how it could be done anywhere. Milica: We actually love to work together! We met almost accidentally, some years ago. For me, it was fascinating to see a complete agreement in the way we saw the mission of a librarian. Our partnership is natural, as we share the same interests and ideas, we are both eager to learn new things, we are both very much involved in library instruction… To those who know us it is by no means a surprise to see us working together in this Altmetric story. How do you each use altmetrics in your current job? Milica: I have set up alerts in the Altmetric Explorer using my colleagues’ ORCIDs, though in most cases there is still no data that they could capture. As I have already mentioned in a recent blog post, we have a rather specific situation in Serbia, as there are not many papers (by Serbian authors) that have high Altmetric scores. Due to this, I guess it would be right to say that I am still testing altmetrics rather than using it. I have recently included altmetrics in my presentations for researchers. Zorica and I are currently involved in the project Revisiting Open Access Journal Policies and Practices in Serbia (implemented by KoBSON with the support from eIFL), which seeks to improve the quality and visibility of Serbian Open Access journals. During the project, we will explain to journal publishers what they should do in order to make their journals trackable by Altmetric. Zorica: I am working on a new website for our Institute where I plan to incorporate Altmetric badges. There is also an institutional repository on the way where this tool may also be incorporated. Where did each of you first learn of altmetrics? Zorica: I don’t remember when I learned of altmetrics first: on Mendeley, webinars or seminars for librarians… But I do talk about it with Milica a lot. Milica is the one that initiated our engagement in the Altmetric ambassadors program and who organized our workshop in the National Library of Serbia. She did the whole research. 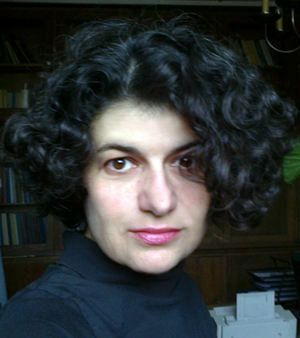 Milica: At the time when I became a research librarian (2007) there was a very lively group of Open Access advocates among Serbian librarians. The most enthusiastic among them was Ana Ivković, a librarian at the Institute of Oncology and Radiology, who actually played the crucial role in organizing the first Open Access Week in Serbia (2009) and was also the first librarian blogger in Serbia. So, it was through her that I first learned about various types of alternative metrics, as this was (and has remained) one of her favourite topics. It was in the spring of 2011 that I began to read regularly and systematically about developments in this field. At your recent workshop for the National Library of Serbia, you analyzed attention for Serbian research and found some interesting patterns. Can you describe your findings? Milica: When we joined the Altmetric Ambassadors programme, my first idea was to check data for researchers at ITS SASA. They mostly do research in materials science, they all publish their papers in English, in international journals, and some of their papers are fairly well cited. It was surprising for me to find out that their papers had hardly a dozen altmetric mentions altogether. Zorica found a few more mentions for her colleagues (mostly biologists). It was immediately obvious that this interesting phenomenon could be partly explained by the fact that Serbian researchers rarely used social media in promoting their work, but this could not explain the lack of data from other sources tracked by Altmetric. I used Altmetric Explorer to check small sets of data and this revealed that conventional citation counts for papers published by Serbian researchers were usually higher than the number of altmetric mentions, as well as that papers in which Serbian authors appeared as members of large international teams had more mentions and higher Altmetric scores than those authored predominantly by Serbian researchers (based in Serbia). It was impossible to find any data for papers in languages other than English and papers in humanities, regardless of their language. These findings show that altmetric data for papers authored by Serbian researchers still repeat the trends and patterns of conventional citation counts. On the one hand, our research community is a small one, while on the other, many Serbian researchers, especially in humanities, publish with small publishers who publish quality content but are lagging behind in terms of technical standards like DOIs. Due to this, their output is not trackable. In our project Revisiting Open Access Journal Policies and Practices in Serbia we will try to instruct those small publishers how to improve their metadata and make the best use of persistent identifiers. What advice do you have for other librarians interested in advocating for altmetrics at their institutions? Milica & Zorica: Librarians should be at least a few steps ahead of their users in testing and adopting new concepts, services and tools, including altmetrics. When presenting them to potential users they should always be clear in explaining what they do and how they work, but they should also explain what they don’t do and why. It is crucial that users know what to expect and what is actually the key idea underlying altmetrics. More specifically, the focus should be shifted from the metrics dimension of altmetrics to the fact that Altmetric data carry valuable full-text information (even when they are lacking) that may lead to new insights. Therefore, mentions should be traced and analyzed rather than counted. We’re proud of the work that Zorica and Milica do and are honored that they are stewards for Altmetric! Thank you, ladies! To learn more about the Altmetric Ambassador program, visit our website.